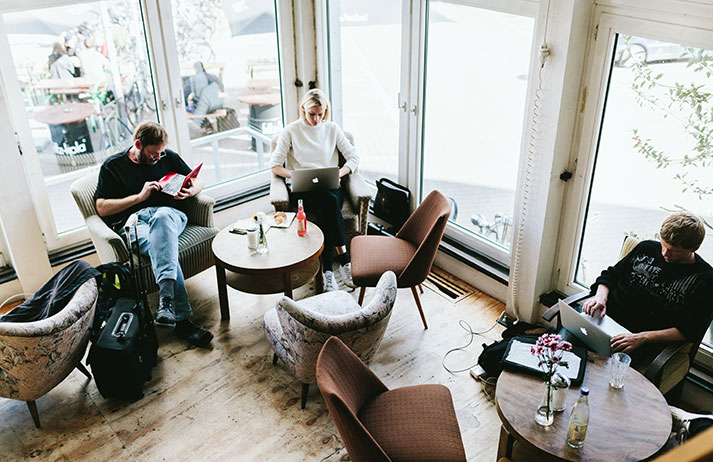 Taking the lead from the co-working spaces favoured in start-up culture, many corporations have adopted open plan offices. Designed to foster greater collaboration among employees, these egalitarian environments are also affecting leadership within the workplace. We explore the science behind interior design’s impact at work. Just 14% of people now work in entirely individual offices, with many employers now favouring a more communal feel, borrowing the open plan design popular with incubator spaces. But while 90% of Britons say more space for collaboration is a high priority at work, the lack of physical boundaries in an open plan environment can have a knock-on effect on people’s perception of the hierarchy within an office. “Respect for someone more senior is obvious when you’ve got a physical structure of space that demonstrates that,” says Philip Tidd, head of consulting for Europe at Gensler. “I think that open plan offices blur those rules of rank. If you’re going into a corporate that removes the physical structures of rank such as closed offices and makes the directors eat in the same dining room then it reduces that status of leadership in a flattened structure.” But does this have to be a negative thing? Research published in the International Journal of Business and Social Science found that the qualities people looked for in leaders – like an aspirational attitude or being an active listener – positively correlated with emotional intelligence, with the ‘appraisal of emotion in self or others’ coming out as the most significant correlating factor. With 79% of Yers wanting their boss to serve as more of a coach or mentor, perhaps physical boundaries in the workplace don’t matter if leaders are seen as approachable. Hannah Elderfield is a behavioural analyst at Canvas8, which specialises in behavioural insights and consumer research. who has worked with global clients including BelVita, the UK Government, the FCO, Depend and Superbrands. Outside of work, she can be found shopping, walking her dog or attempting to curb her addiction to Nutella, not all at once of course. In 2014, the British government passed a law enabling anyone to request a flexible work arrangement. #WorkThatWorks is a campaign aiming to normalise the concept to the 51% of UK workers who are worried the request would be viewed negatively by employers. How are New Alphas redefining leadership? Major apps are being redesigned to create a unified mobile experience – and a similar process is taking place in the physical world too. In the second of a two-part report, Canvas8 looks at how the Airspace aesthetic is blending work, home and leisure environments from Sydney to Silicon Valley.